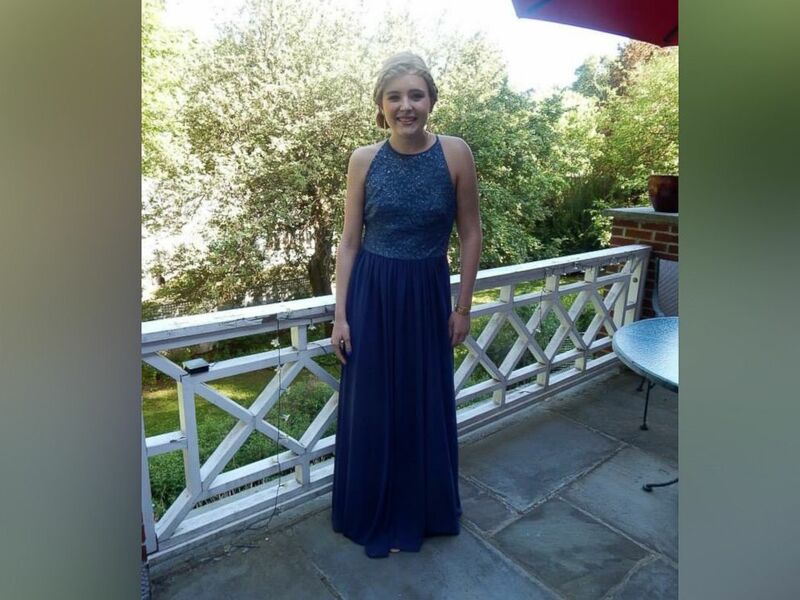 A group of teenage girls are remembering their friend who died of cancer in the most touching way -- by wearing the same blue gown she wore the night of her junior prom. Catherine Malatesta, 16, died on August 2, 2015 -- 8 months after being diagnosed with a stage 4 tumor. "I guess for us, it's a way to keep her spirit and legacy alive," Catherine's dad Gregg Malatesta told ABC News. "It's really special that these girls were so passionate about wearing the dress. That was the last time they saw Catherine out-and-about with her radiant smile and having a great time at the prom so I think for them, it's pretty special." Malatesta of Arlington, Massachusetts said his daughter received her cancer diagnosis in Nov. 2014. Despite months of chemotherapy treatments, she never lost her spirit, he said. "She was fearless, she was confident and she had an incredible amount of courage," Malatesta said. "She just loved being around her friends, children, teaching, helping others. She was a first grade CCD teacher at St. Agnus parish. She was an honor roll student, took AP classes -- just incredibly compassionate and hard working." Catherine Malatesta photographed on May 29, 2015, the night of her junior prom at Arlington High School in Massachusetts. 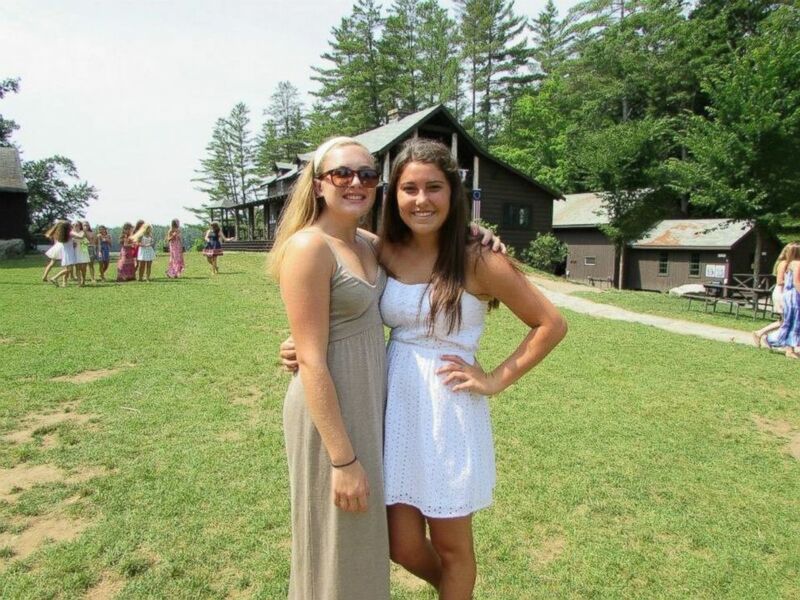 Emma Schambers, 18, met Catherine at Camp Coniston in New Hampshire during the summer of 2014. The two became fast friends, she told ABC News. "Catherine was just a very vibrant, always positive person," Emma, of East Greenwich, Rhode Island said. "She was always smiling, always happy. When she died it was a really tough time, but I was inspired by her strength and therefore, it made it easier to go through the hardest thing I ever had to go through." After Catherine died from epithelioid sarcoma -- a rare, slow-growing tumor that is usually seen in people between 20 and 39 and often appears on the arms -- Malatesta said her girlfriends would stop by his home to share their grief. Catherine's mother, Jennifer Goodwin, would offer some of the teen's things to her friends so they'd have something to remember her by, Emma said. One day, the girls spotted the dress that Catherine wore to her junior prom at Arlington High School on May 29, 2015, hanging in the closet. "We all tried it on and we said, 'Oh my gosh, we should all wear this.'" Emma said. "...I think it's really magical that we all fit into the dress." Catherine's friend Emma Schambers, 18, will wear her prom dress to the East Greenwich High School senior prom in Rhode Island on May 13. The first girl to wear Catherine's dress was her childhood friend, Jillian. She wore the blue gown on April 15 to her junior prom at Arlington High School, Emma said -- just like Catherine did. Emma will be next to wear the dress to her May 13 East Greenwich High School senior prom in Rhode Island, followed by another one of Catherine's childhood friends, Lauren, who will wear it to Arlington's senior prom on May 20. Carly, who also knew Catherine from Camp Coniston, will wear it on June 2 to the Beverly High School senior prom in Beverly, Massachusetts. "Catherine would be very happy," Emma said. "If she was alive, I think she'd offer her prom dress to us. It's a very important thing to capture her memory because prom was a very special time for her. She told her mom, it was the first time in a long time that she felt beautiful inside and out."